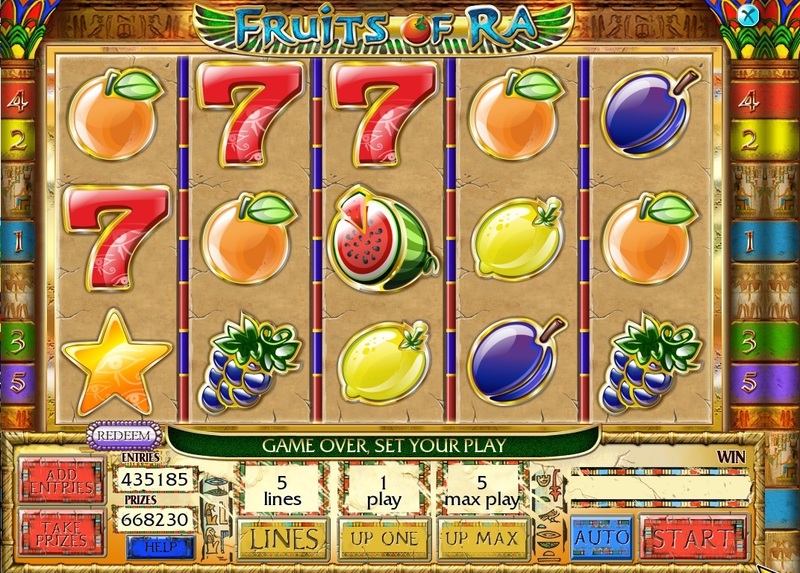 Game fruits of Ra is a 5 reel 5-line slot with the possibility of doubling the winnings. 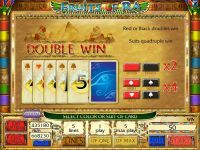 The "Scarab" substitutes for any symbol in a winning combination. Combination falls from left to right and right to left on the active line. 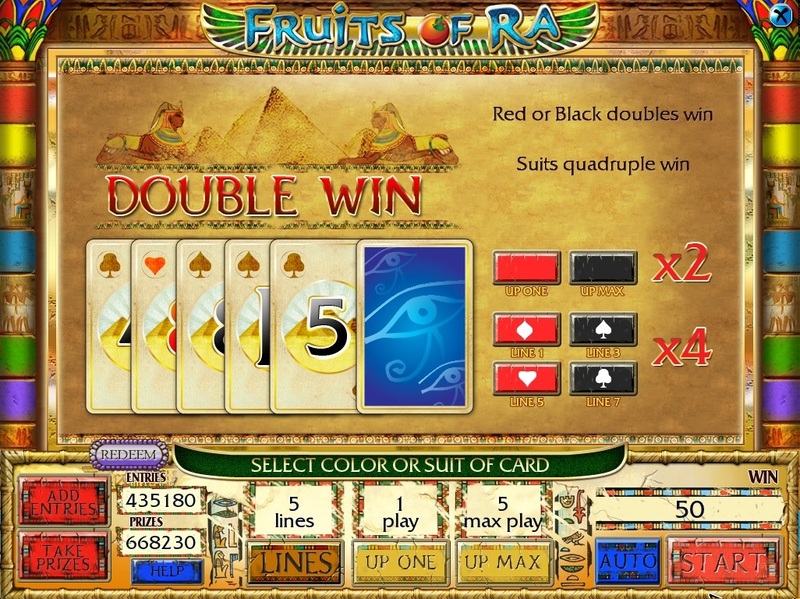 At loss of any winning combination you have the opportunity to double or quadruple your prize guessing either the color or the suit of the dealer's cards.